Audacious custom seat family from Saddlemen with a brash refinement that instantly transforms your bike. 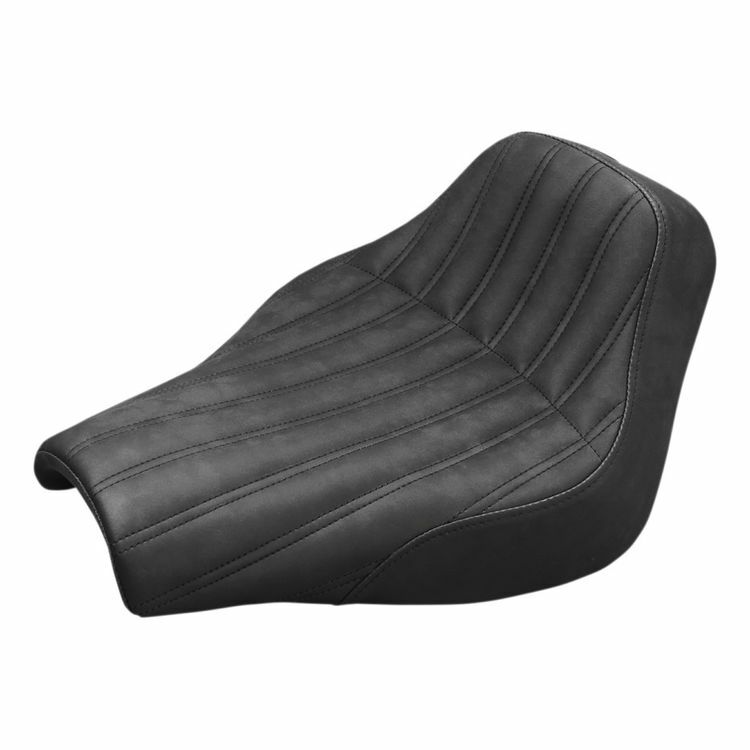 Deep, aggressive ribs are carefully stitched into the brushed SaddleHyde weather resistant cover while hand-crafted progressive density foam and SaddleGel foundations serve up comfort not normally present in a low profile seat. Strong fiberglass pans with plated hardware ensure a perfect fit for a trouble-free install.